Mark Cornelison l UK Photo. LEXINGTON, Ky. (Dec. 6, 2018) — Headed home for the holidays and need to leave your wheels on campus? University of Kentucky Transportation Services is offering free, covered storage for both cars and bicycles on a first-come, first-served basis. Students with a valid UK parking permit who would like to keep their car under cover during winter break can stop by the Transportation Services office and pick up a free holiday pass, which will allow them to park in the South Limestone Garage (PS #5) over semester break. Transportation Services will provide holiday passes to the first 200 students, granting them access to the fourth and fifth floors of the garage beginning Monday, Dec. 10, through 5:30 a.m. Tuesday, Jan. 8.The passes are now available at Transportation Services’ main office, located at 721 Press Ave., and its satellite office, located in the South Limestone Garage. Holiday passes must be clearly displayed on vehicle dashboards. Once students return to campus, they can take the pass to the South Limestone Garage office and exchange it for an exit voucher. Vehicles not moved by 5:30 a.m. Tuesday, Jan. 8, will begin incurring an hourly parking fee. Don’t want to move your car over winter break? Students with a valid UK permit are allowed to leave their vehicles in the Kroger Field periphery lots — Red, Blue, Soccer/Softball and Commonwealth Drive lots — over semester break. 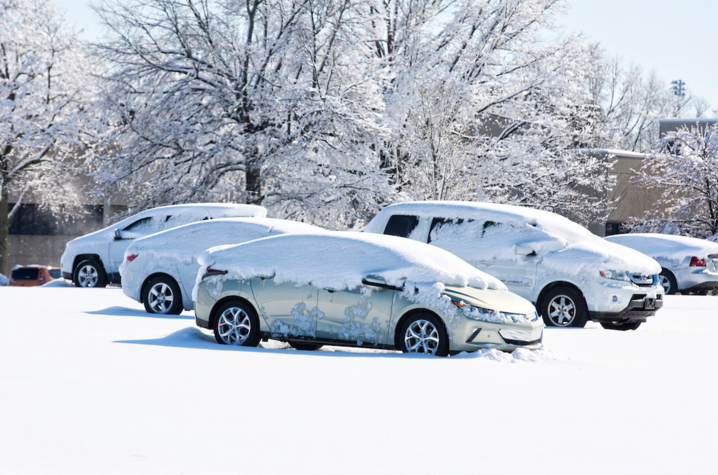 In addition, students with R2, R7, R29 and all graduate housing lot permit holders are also able to leave their cars in their assigned lots for the duration of the break. If you typically travel on two wheels, you can keep your bicycle under cover during the semester break at Wildcat Wheels Bicycle Library (WWBL). Students and employees can store their bikes out of the elements at WWBL, located on the first floor of Blazer Dining. Bikes will be accommodated on a first-come, first-served basis starting Monday, Dec. 10. You must have a UK bicycle permit to participate in the holiday bike storage program. If you don’t already have one, WWBL staff will issue free permits during bicycle drop-off days. WWBL is open noon to 3 p.m. Monday and Friday and 3 to 6 p.m. Tuesday through Thursday. Bicycles not picked up by Friday, Jan. 18, will be charged a storage fee of $2.50 per day. For more information on parking options and transportation alternatives, visit www.uky.edu/transportation. UK Transportation Services is also on Twitter @UKParking or tune into 1700 AM (WQKH 253) to hear daily campus parking and transportation updates. The station broadcasts 24 hours, seven days a week.